There are exceptions – mangos and mot citrus produce what are called polyembryonic seeds, which means that there are multiple embryos in each seed, and only one is the result of sexual recombination – the others are asexually produced, and will grow into clones of the mother plant. And of course there are the fruit trees that don’t produce seeds at all anymore – bananas, some citrus, some grapes, and fruit breeders are working on creating reliably seedless apples (yes, this is possible).. But broadly speaking, we don’t grow fruit trees from seed anymore. Unless we happen to be fruit breeders, in which case – we do exactly that. Which begs the question: why don’t the rest of us (at least the more patient among us) try it? The heritability of flavour profiles, colour, and storing qualities are actually quite well studied for most major fruit species. There are a few obvious ones; for example the pale aril colour in pomegranates is, as far as we can tell, a simple recessive – with the standard deep red or pink colour being dominant; darker reds and the red-black colour of some fruit results from a complex of other genetic factors affecting levels of anthocyanins, but the white/pale pink arils are easy to breed for. Most traits, though, are complex and have a low % heritability. 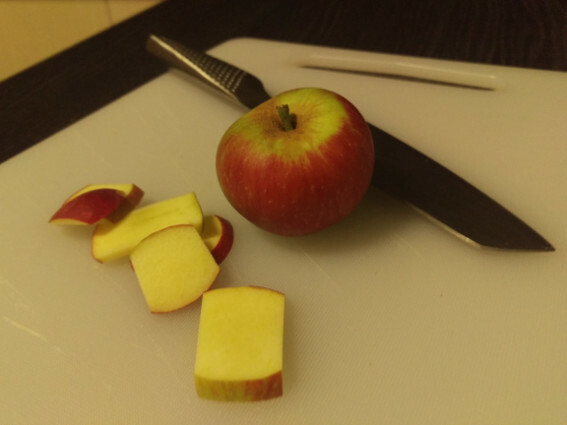 Apples, for example, have a 10 – 15% heritability for characteristics like acidity, juiciness, crispness, and sweetness, and only about a 30% heritability for astringency (useful in cider apples, but a negative for dessert or cooking apples). Fruit breeders use fairly high tech methods to test for useful characteristics, including looking for molecular markers for traits known to be useful (such as disease and pest resistance traits) but a lot of the mroe useful flavour traits are too complex to effectively test for using molecular markers and genetic analysis. Even fruti breeders are often reduced to crossing two likely parent trees and growing out the seeds to see if they produce good fruit – but fruit breeders aren’t just looking for pleasant tasting fruit, they’re also looking for something different from existing varieties. The home grower isn’t generally going to be that picky. If your seedling apple tree produces fruit which is really very much like (but not identical to) a gala or fuji apple, that’s a net positive if you don’t need ot market the tree as a brand new distinct and different variety. And the secret that geneticists and plant breeders don’t tell anyone is that the chances of getting reasonably good fruit from a random cross between two parent trees that produce good fruit is quite high. It might not store well, or ship well, and it might not be unique and distinct from any existing variety; it might not fruit earlier or later than other common varieties, and the tree may well be susceptible to disease (or it may be resistant). But the chances of edible fruit are really quite high. And every seedling tree which is allowed to grow to adulthood and join the breeding population enhances the health of the species (clone trees don’t add much to the species, since they’re all copies of the one individual and don’t add any genetic diversity to the gene-pool – which is one of the reasons that people try to preserve some of the older varieties, to keep that genetic diversity in the gene-pool). So why don’t we grow more trees from seed? It’s not hard to do. Apple seeds will often germinate in the fruit, and will otherwise germinate quite happily if you put them between some pieces of damp cotton wool on a saucer in a sunny spot. Stone fruit pits should be put in the fridge for 6 – 8 weeks, sealed in a plastic baggie or a container with some damp sand so they don’t dry out and then planted out once the weather warms up. I haven’t had much luck with pomegranates (only 4 germinations out of nearly 100 seeds), but in theory you just plant the seeds directly into soil or potting mix in warm weather and keep them damp but not soggy. Citrus like the damp cotton wool or damp sand in a saucer and a sunny windowsill to germinate, but you can also plant them directly in a pot of soil or compost. In my experience, mangos like to germinate in the compost heap or worm farm (warm, humid, moist conditions), so just throw the pits in there and rescue the plants once they sprout. Loquats and guavas will self-seed if you let the fruit fall (which i don’t recommend, because of fruit fly – but you can plant the seeds in some good compost for the same effect). I don’t know about grapes yet, but I bet they grow easily from seed; most Mediterranean plants do. Not all of these are in the ground as yet; I’ve noted which ones are planted, and which are on order. The trees without a status note are on the wishlist. These are for the cider orchard. Most are table / dessert apples (i.e. for eating), but these can be juiced to make cider too. The cider apple varieties usually aren’t well suited to eating fresh, but the two we’ve chosen are reputed to be reasonable for fresh eating as well as cider-making. Iyokan, which don’t appear to be available in Australia – so I might have to try growing one from seed. Kabosu, which don’t appear to be available in Australia – so I might have to try growing one from seed. Yuzu, which are actually available in Australia! I may have a fruit tree collecting issue. Gotta catch ’em all, right? These are an experiment. They should get enough heat to fruit, but we can’t be completely sureuntilt hey do fruit. or at least until they flower. I don’t actually even really like fresh figs – but I very much like dried figs, and fig paste, and fig jam. And caramelised fig sauce stirred through ice-cream. Thus: figs. Yes, olives are fruit. Even if you have to pickle them before they’re edible, or just use them for oil production. Pears are K’s favourite fruit. So we had to have a variety. In case it wasn’t abundantly clear, I adore stone fruit. The smell of peaches and nectarines in summer is one of my happy things, and the sweet-sharp taste of an apricot or plum fresh off the tree is.. well, my mouth waters thinking about it. I also love jams made with stone fruit; apricot jam is endlessly useful, and plum jam is actually my favourite of all the jams I’ve ever tried (actually my favourite jam in the world is the plum jam my mum makes, with ruby blood plums from her tree and a touch of fresh orange juice for the pectin content). And then of course there are the nut trees. But I’ll leave those for another post. We harvested our first apples from the orchard yesterday. A pair of tiny little King David apples – very nice, too, for what is meant to be mainly a cider apple. Nothing else is fruiting right now, except the black nightshade (NOT deadly nightshade), but the adverts and signs are up all along the Swan Valley for fresh fruit, grapes and mangos. I like this season, with the last of the summer fruit, and the last of the swimming weather, but the first few cool nights of autumn. The frangipanis are flowering, too, and the roses are all going crazy with flowers. The area just around the house smells amazing, and it makes me happy imagining it becoming more and more that way all year as I get more plants in. One of the pink siris trees we grew from seed is flowering for the first time too, which is neat. Reminds me of our old apartment in town (with a group of pink siris trees growing outside the window, which is where we got the seeds). Today, I completed two quests: one was visiting the annual horticultural fair in South Perth, at which I bought four new hibiscus plants; the other was chicken related. Quest number one was planned. I love hibiscus, they’re one of my (many) favourite flowers. And in spite of a practical inclination towards planting productive plants wherever possible, I have a soft spot for flowers just for the sake of flowers. Thus the frangipanis, roses, and hibiscus, and the gazanias and gerberas I plan to plant in the rockeries. These hibiscus will join the slowly-growing hedge maze behind the house, just because hedge mazes are cool and make me happy. There are a few little nooks and sub-gardens planned for around the property, places to go and sit and read a book, or have a conversation with someone, or simply meditate. We’re going to have a little Japanese garden, with flowering cherries and Japanese maple trees, and bamboo, and perhaps a tiny little koi pond. There’re plans for a rose pavillion, covered with climbing roses and surrounded by scented, old-fashioned hybrid tea roses and hibiscus (so there are flowers in winter, too). Quest number two was not exactly unplanned, but was also not exactly planned. I saw a gumtree ad, and I thought I’d call and check it out, and .. then I came home with four new chickens. Little white silkies, for the dinochook breeding program. Now I just need to get some malay game fowl, and find a way to interbreed the malay games (for shape and size and posture) with the silkies (for skin colour and feather type) without causing injuries to one or other bird. There’s no real story here, just a few snippets of info. I feel achieved (two quests! And apples!) so I thought I’d share that. One of ethics of permaculture is ‘right livelihood’, which is a boiled down abstraction of the idea that people should be able to make a living – being environmentally conscious doesn’t necessarily mean giving up on commerce. Which is good news for those of us with a mortgage. I want to be ethical in my interactions with the rest of the world, even the financial ones, but I also want my bills to get paid. On that front, although this property is home now, and a test bed for a great many ideas and experiments (such as my dino-chook project – more on that in a later post), it is also intended to be a productive farm. Not just productive in terms of providing us with fresh, ethically produced food with low food miles and a certainty of no pesticide residues, but in terms of producing things for sale, to make a profit with which to pay for things we can’t produce ourselves (including mortgage repayments). I don’t think that Gallifrey Forest Farm will be making enough to free us entirely from our day jobs any time soon, but.. well, let’s call it an aspirational goal. For this aspirational goal to become reality, we need some profitable enterprises. In order to count as profitable, an enterprise must bring in enough money to cover not only the associated production and packaging costs (e.g. fertilising the trees which produce the fruit, sugar to add to the fruit, bottles and labels for the resulting jam, etc.) but also the cost of our time. I have a notional minimum hourly rate which I would bill myself out at as an IT contractor. This rate is less than my day job currently pays me, but it’s enough to pay my share of the bills, and working on farm stuff is much more satisfying to me than my day job so it works out. If the amount of time that I need to spend working on an enterprise, billed at that minimum hourly rate, pushes the cost of the finished item past what someone would reasonably pay for it, then that item just isn’t profitable. And since estimating how much time something will take is actually part of my day job, I’m pretty good at it. The end result is that a lot of farming enterprises which look superficially cool are almost immediately off the list. Milk, for example: keeping goats or a house cow to produce milk for our own use is definitely worthwhile, but selling milk just isn’t. The cost of producing and packaging and certifying it leaves a very, very slim profit margin (or no margin, depending on packaging choices, wholesale costs, and the cost of animal feed). Cider, on the other hand, seems like a good option. Wine has weird taxes placed on it, but cider and beer don’t. I don’t like beer, so there’s no chance I’ll be able to work out how to brew a good one, but I do enjoy a good artisanal cider (for anyone in the US, I’m talking about hard cider, with alcohol in it – not just apple juice). This also works out well for me because one of my passions is heritage fruit tree varieties. So, with cider production in mind, I’ve been looking at lists of old apple varieties, and making a shopping list. I’ve whittled it down to 32 varieties, mostly dessert apples (i.e. good for eating fresh) with a few cider-specific types for the astringency and acid I’ll need for a good cider. Today I planted the first six trees, which I bought as bare-root stock last summer and have been keeping in pots since then. Only another 26 trees to buy and plant.